and Other Surfaces Where Heavy Traffic is Involved. Stuck-O-Tape™ is the brand of choice for stucco professionals. It is a conformable low density polyethylene film, coated with an aggressive rubber-resin adhesive offering excellent aging characteristics – weather and UV resistant. 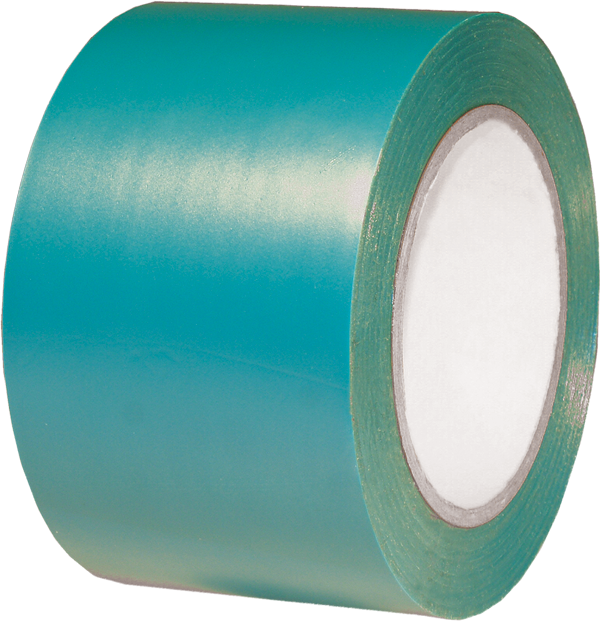 Ideal for indoor or outdoor use as a surface protection and masking tape. Removes easily from surfaces as varied as masonry, wood, vinyl, painted metal and glass even after prolonged periods up to 30 days. Primarily used to mask window and door frames during stucco application to protect from overspray. Its high durability makes this tape a great choice for protection of doorway thresholds and other surfaces where heavy traffic is involved. Easily conforms to irregular surfaces including metal, masonry, wood, vinyl, aluminum and more. Easy to use / easy to remove – leaves no messy residue. Moisture, chemical and UV resistant.